Trucking madness emperor: Esatau B 503, 1957. It was called "television" because of its cab design; none of its metal panel was plain. 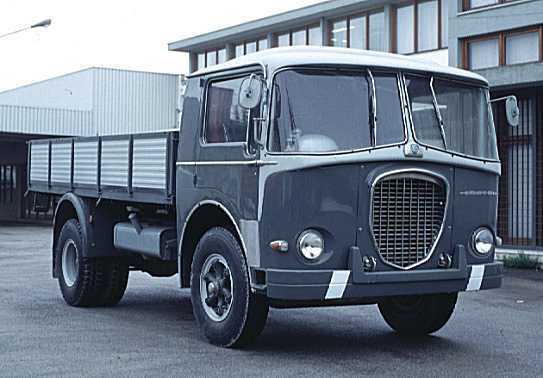 Probably the most beautuful European forward control truck. 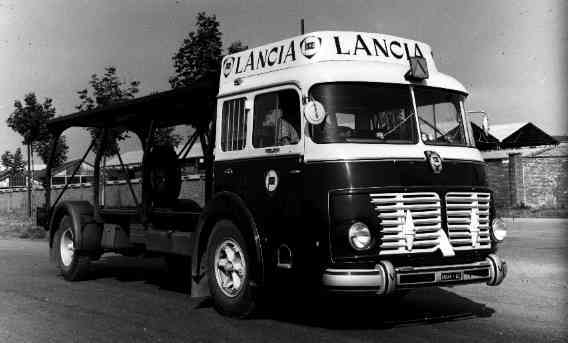 It can be described as "the Aurelia B24 of the trucks"
bodied by Bianchi & C.
In 1968 air conditioning, air suspension, television, chilled beverage service and top speed over 110 km/h were not normal for an Italian touring coach. 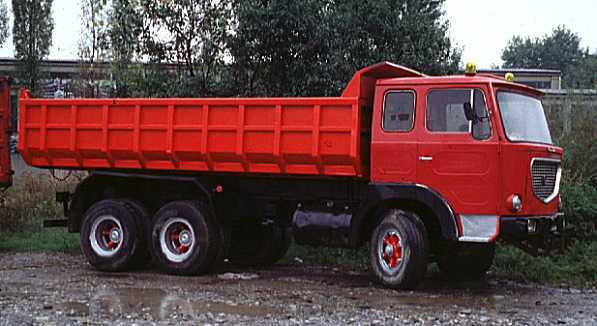 Off road emperor: Esagamma 520 6x4 heavy tipper, 1968. 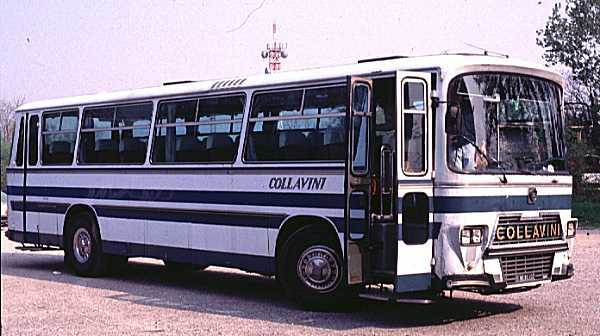 30 years old when photographed, still in service and featuring a good shape. 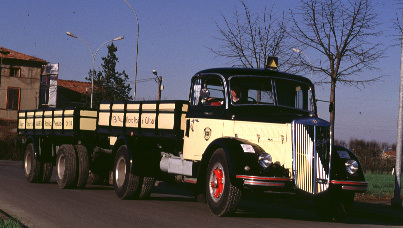 According to many earthmover operators, the off-road Esagamma "made the history of earthmoving in Italy". 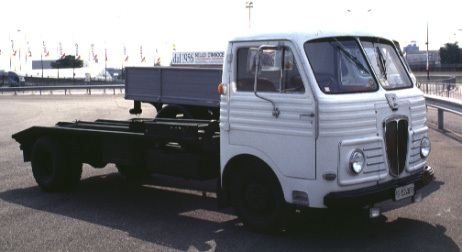 Esatau P chassis, bodied by Viberti in 1955. Very few (about ten) were built.